I really like this ad campaign! I love black and white photography, I think it ads depth and drama to the story being told in the photos. 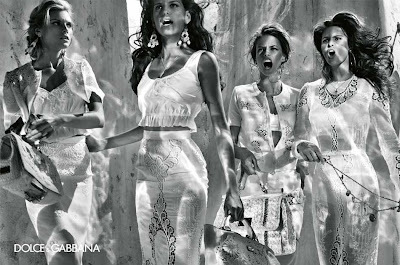 The white dresses, tops and skirts are so pretty...I love the cutout details and the crochet...perfect for the summer heat!